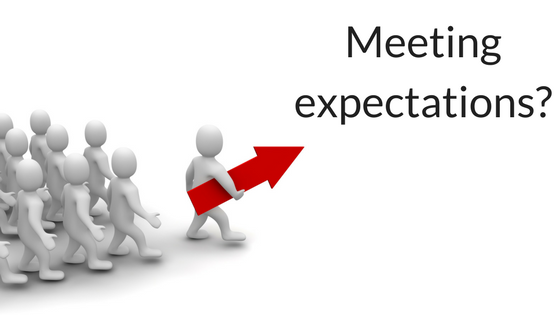 NZARCT > Charities > Is your NFP living up to Expectations? A recent statement by Dan Dorset sums it up nicely: I only donate to charities that demonstrate competence in efficiently and effectively pursuing their stated objectives. This expectation applies similarly to charities and membership associations. Both have founding documents that set out their reason for being and what they are set out to achieve in pursuit of their cause, for the benefit of the recipients of their services and to the advantage of their members. Both can have a transparency problem. Scarcity of reporting systems may be driving them to present the best possible picture that prospective donors and members rely on without balancing them with information about what impact was achieved. 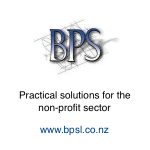 Many such organisations are measuring their impact by reporting on the number of situations in which they acted on behalf of their beneficiaries or members without the ability to state life changing or industry benefiting outcomes. A good example of this story telling culture is the internationally reported demise of Kids Company, which relied on good stories illustrating its activities without the ability to back them up with hard facts. It calls for a change in behaviour in some quarters. Charities have to learn to balance their heart-warming stories with outcomes, even if they are not indicative of complete success and the road leading up to them has been beset with pitfalls. Mentioning the challenges encountered in dealing with bureaucracy, resource constraints and adverse economic factors provide convincing evidence of the need for more funding and volunteer input. Similarly, the efforts of an industry or professional associations to advance the image and standing of their sector and with it promoting their members as competent and responsible suppliers of goods and services are not always smooth sailing. The impression of strong leadership and executive output to pursue and succeed in stated objectives is what attracts members to join. Donors and members have to accept that sometimes our work is difficult and that we not always achieve the results we desire. Sincerity, openness and transparency are convincing tools to engage our contributors and constituents. Failing to take them on the journey from inception to completion relegates them to the role of spectator, when they should be actively emotionally and intellectually involved. Story telling is provided for in the prescription for statutory charity reporting and most association annual reports speak in glowing terms without being too specific of what has been achieved during the year. This may lull members into a false sense of security where their standing and benefits in the scheme of things are concerned. Unlike charities governed by trustees, joining an incorporated societies implies stakeholder rights and an entitlement to be fully informed. This can easily be overlooked by office bearers not unlike politicians, more concerned about their self-esteem and prominence in the industry or profession that they serve. Unfortunately we cannot always get it right and owning up with stated reasons for the under-performance will not count against us and lower us in the esteem of our supporters and members.